The ibis Strasbourg Centre Les Halles is located 600 metres from the centre of Strasbourg and 900 metres from Strasbourg Train Station. The hotel offers free Wi-Fi internet access and a terrace. The ibis Strasbourg Centre Les Halles is located less than half a mile from the center of Strasbourg and half a mile from Strasbourg Train Station. The hotel offers free Wi-Fi internet access and a terrace. The soundproof guest rooms at ibis Strasbourg Centre Les Halles include a flat-screen TV with cable channels. They each have a private bathroom with a bathtub. A buffet-style breakfast can be enjoyed every morning. Guests are invited for a drink in the on-site bar. Strasbourg Cathedral is half a mile from the hotel and the Palais Rohan is just over half a mile away. A covered, public parking lot is accessible directly by an elevator. The property is 230 ft from Les Halles – Pont de Paris Bus Stop and 11 miles from Strasbourg – Entzheim Airport. 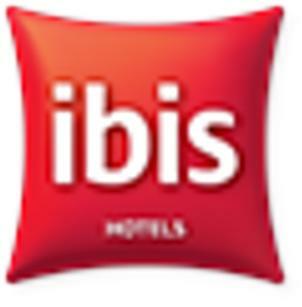 These are general hotel policies for ibis Strasbourg Centre Les Halles. As they may vary per room type, please also check the room conditions.